Dentist Des Plaines: Our First Blog Post! Welcome to Library Plaza Dental’s Blog! Welcome to the blog of Library Plaza Dental. This is the place to come when you have questions about dentistry! Library Plaza Dental is a Des Plaines dental practice that is staffed by highly trained and dedicated dentists. We perform general dentistry and cosmetic dentistry to provide our patients with smiles they will be happy to flash. Our general dentistry covers many areas of dentistry, all of which we will cover in our blog. Having a pain-free mouth is something you may not fully appreciate until you don’t have one. When you have had a toothache and it has been successfully treated, you know it’s something to smile about! But there are, of course, other factors in having a smile worth flashing. 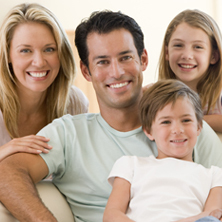 General dentistry covers keeping your teeth healthy and treating any problems that come up. It is a great feeling to know your teeth are clean, straight and healthy down to the roots. Taking care of your teeth requires a partnership between dentist and patient. Brushing and flossing your teeth on a daily basis is essential to a life of good dental health. Having good habits is also an important element of lifelong good dental health. This doesn’t mean that there won’t be issues, but a problem caught early is much less painful and will cost less than if it is allowed to worsen. Bi-annual cleanings and treating issues early are the best way to make sure your teeth are healthy and stay healthy. Treating cavities and infections and keeping your gums healthy are all part of keeping your teeth and mouth healthy. No matter how careful you are about your teeth, things happen that can leave you with a missing tooth or teeth. And, of course, many people have naturally crooked teeth that they would like to have straightened. Library Plaza Dental offers many treatments for missing or crooked teeth, all of which will be covered in due course on our blog page. We will cover crowns and bridges, dental veneers, dentures, Invisalign, implants, root canals, and sealants, among other topics. Using dental veneers can be a fast and inexpensive way to get a straight white smile. These thin porcelain covers for your teeth will even out the appearance of your bite and hide yellowing and stains, among other benefits. Implants are a fascinating subject and will be covered extensively. This relatively new technology is a great option for replacing missing teeth and has the added benefit of keeping your jaw bone healthy. One of our dentists is a leading authority on implants, being both a practitioner and teacher of this method of restoring smiles. No matter your dental issues, the dentists at Library Plaza Dental will be happy to help you. Call today for an appointment and get on the road to a great smile.